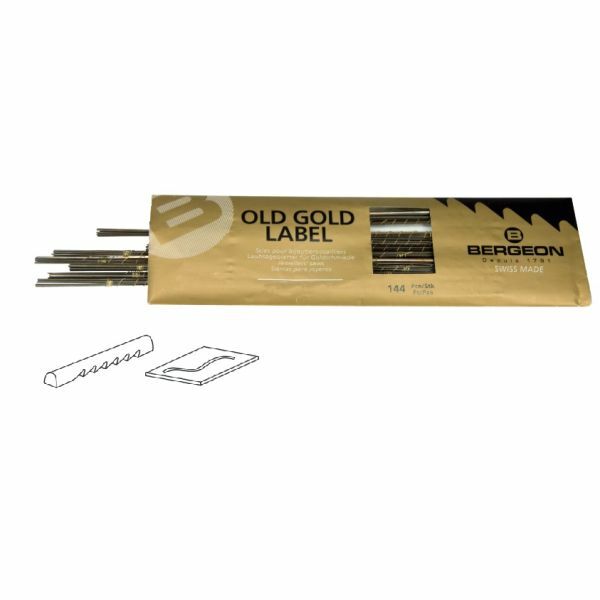 Great for cutting metals and other hard materials. 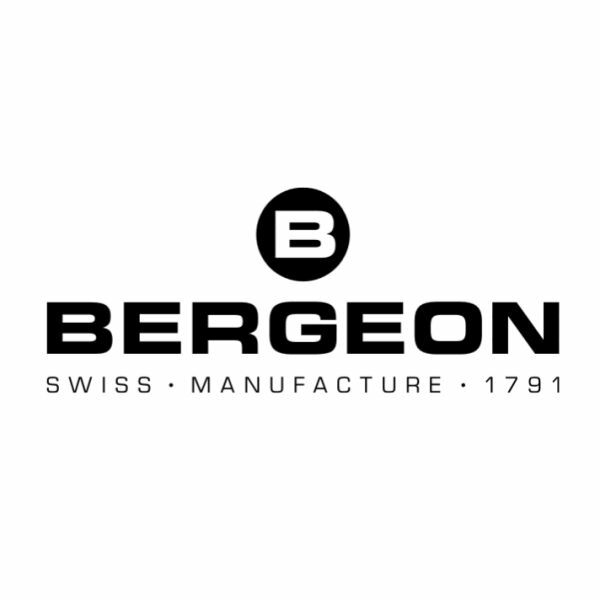 Made by Bergeon in Switzerland these Gold Label sawblades are manufactured to exacting tolerances for angle, size and cut of each tooth. The unique tempering process ensures consistent flexibility, long blade life and gives them their exclusive golden straw color. 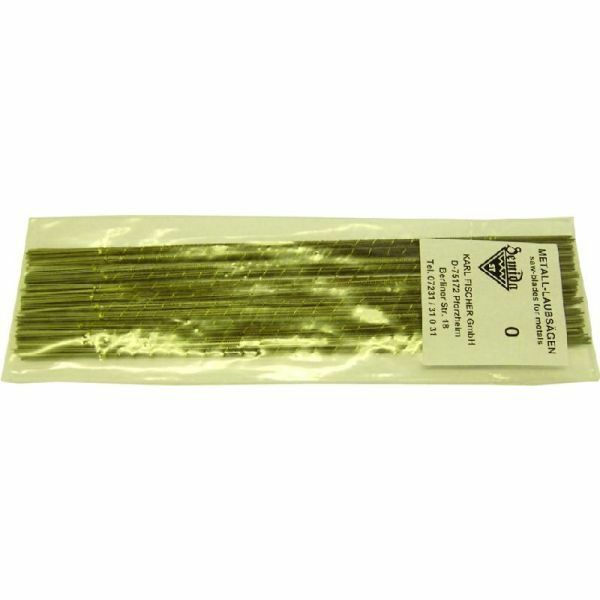 This golden straw color is your guarantee of receiving the world's finest saw blade. Uniformly set teeth reduce binding and breakage. Made of special alloy steel, making the blade last longer and stay sharper. Has rounded backs that make cutting curves easier. 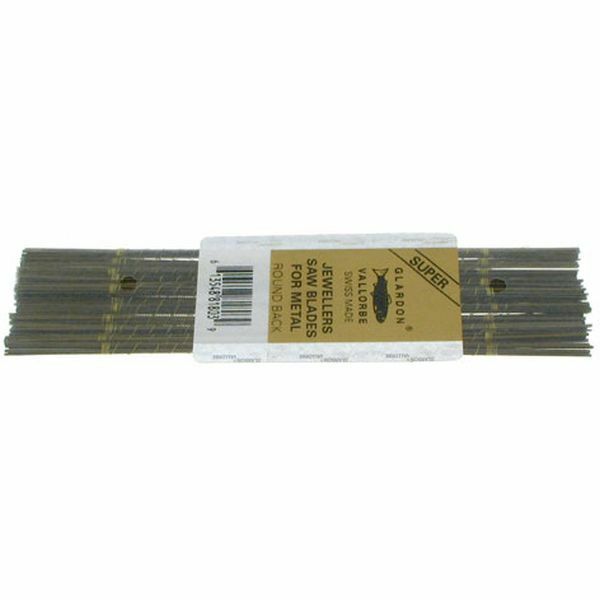 Saw blades measure Approximately 5.25" inches long. Made in Switzerland.